This site is to showcase my writing, however recently it has turned into something slightly more; both a useful tool in organizing the number of tasks i’m working on, as well as a handy way to keep readers updated on what’s coming next. I recently wrote about how your writer website is more than just an online portfolio; it’s also a full-fledged marketing website and, as Stephen says, an organisational tool for cataloguing your best work. But as Stephen also points out, it’s a way to keep people up to date with what’s new (the blog feature is particularly handy for this). Why share what’s new? Because it tells people you’re alive, you’re for hire and you’re a creative machine! 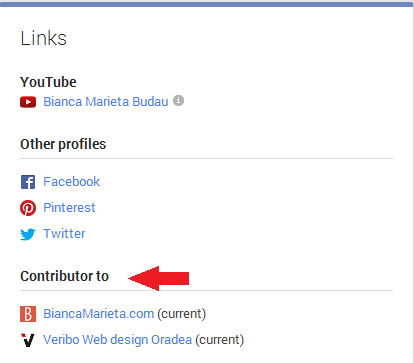 It also lets you promote your work, announce events, share your thoughts and get feedback. Think about it from a reader’s perspective (especially if that reader is a potential client, editor or employer): if they go to your website and the most recent writing sample is from 2005, they might think you’ve moved on from writing or aren’t serious about your work. Can you think of any other ways to keep your website fresh and lively? Or other uses for your writing portfolio that I hadn’t thought of? Let me know in the comments! If you’ve just create an online writing portfolio website to market yourself and your work, then you’re probably eager to get it up to snuff as quickly as possible so you can start using it to land some gigs. To that end, I put together this list of bare minimums to get done before you start sending your portfolio to editors, clients and potential employers. After all, it’s a competitive world out there, and our goal is to help you stand out from the crowd with a stellar portfolio that really shows off your work. This is the first page people see when they visit your website – use it to make a good impression and grab their attention. Summarise what you do in a paragraph – the shorter and snappier, the better. Focus on your ultimate selling points and why you’re the best at what you do. And don’t forget to upload an image – a great headshot adds personality to your page (for our customers, you can do this easily when you edit your homepage on Writer’s Residence). Add your best writing samples. This best way to show off what you can do is to upload a few writing samples, be they magazine articles, book excerpts, copywriting examples or newsletters. Make sure the sample is easy to access – ideally, text on a page or a link to the original article online. But you can also share documents if that makes more sense (in which case, use a thumbnail to provide a snapshot of the document, see my London Calling article for an example). In Writer’s Residence, you can add a writing sample in any type of format: text, PDF, jpeg, Word doc…you can even upload video and audio clips. Feeling at a loss for writing samples? Then here are a few ideas for new writers on using unpublished writing clips as samples. Make it easy for people to contact you. 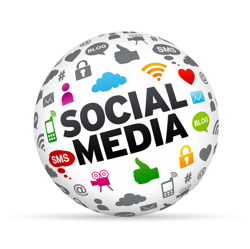 Make sure you have a contact page and fill it in with all of the relevant details: name, email address, phone number, social media links… different people prefer different modes of content, so give them as many options as you can to encourage them to get in touch. 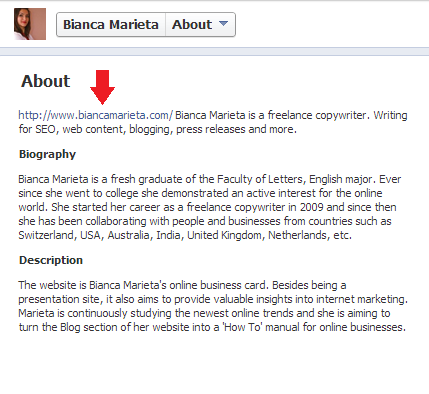 Also, call out your contact details on other pages in your website. For example, on the homepage, a simple sentence like “Contact me if you’d like me to write some amazing copy for you” with a link to your contact page can be a powerful call to action. That’s what this is all about, after all: getting people to see your stuff and think, “yes please, I’d like some of that.” Don’t make them have to hunt and dig for your contact details. You don’t need to spend thousands of dollars to have a web design agency create super custom website for you, but you do to need an online writing portfolio that looks nice. Our advice: work with a platform with pre-built themes that makes it difficult to create an ugly website. Writer’s Residence comes with 16 beautiful pre-designed themes that let you personalise your website with the click of a button. You can also create a custom theme with your own header and colours to truly personalise your website. A great website is your opportunity to tell the world that you’re a professional writer who takes their work seriously. So make sure your writing portfolio fits the part and not only represents you, but also stands out against the competition. 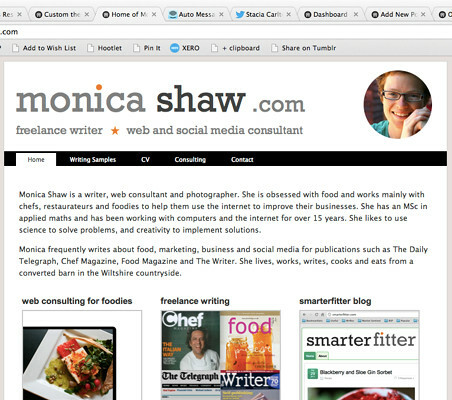 Do you have any advice or blog posts about using a writing portfolio to apply to multiple types of writing jobs? How should my portfolio reflect this, especially when it comes to the Writing Samples and Home sections? I know this has been a burning question for me for the last four years since I went freelance, and speaks to a challenge that many of us face, especially when we’re just starting out in the trade. Almost every pro in the business will tell you that writers should have a “niche”. It’s good advice, but even so, niche writers still write for numerous types of media. For me, my niche is food. Sure, I write food articles for magazines and blogs, but I also do lots of writing work WITH food brands, like copywriting, web development and various other forms of consulting. How can I use one writing portfolio to reflect my vast array of experience, and then use that to apply for specific types of writing jobs? 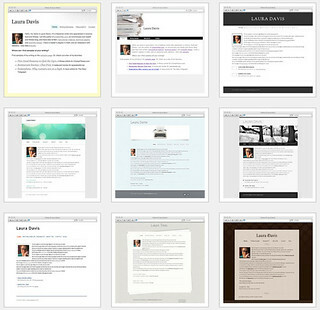 In the past few years I’ve sent my writing portfolio to a LOT of prospective clients and editors. Some of them even gave me jobs. And enough of them gave me jobs that I actually make a living at it. So here are my top tips to our user – and any writer out there applying to different types of writing jobs – based on my experience. I’d love to hear other people’s ideas on the topic, too, so feel free to add your advice in the comments! It actually begins with your cover letter. Although you’ll be pointing people in your cover letter to specific parts of your portfolio, you still want to make sure you represent yourself well on the main landing page of your website (having done a bit of hiring myself, I always look at an applicant’s website to see how they present themself overall). Use the homepage place to summarise your range of experience. Don’t get too verbose – this is meant to be a summary. Freelance writer Carol Tice has done a good job of this on her website. 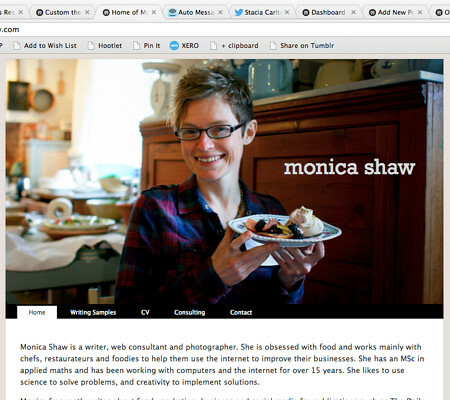 You can see how I’ve tackled this on my own website at monicashaw.com. If you’re pitching an article idea on running for beginners to the editor of Women’s Health magazine, then it probably doesn’t make sense to send them a sample of your scholarly Master’s Thesis on liver glutathione homestasis (or the like). 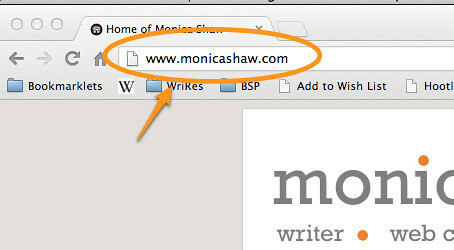 Use categories with your writing samples so that you can link specifically to the samples that are relevant. For example, I occasional write e-learning material for brands wanting to train their staff online, so I have a category for e-learning with related samples that I can use in any cover letters that I send for e-learning jobs. This is a fast-paced world. People get that. And no one is going to raise an eyebrow if you take on different types of jobs. In fact, it’s expected. And it’s a good thing. It means you’re adaptable. Nothing’s wrong with diversifying your experience – it’s good business. Lots of people understand that, and those are the sort of people you want to work with, anyway! So don’t worry if your writing portfolio conveys a wide variety of experiences. Just make sure you point people to the right place in your portfolio when applying for jobs. One of our missions with Writer’s Residence is to provide writers with a website that looks good by default, so you can spend less time “designing” and more time writing. As such, we offer 16 pre-designed website themes (including a few recent additions from the fantastic designers at Wired Canvas), all of which are designed specifically with writers in mind. 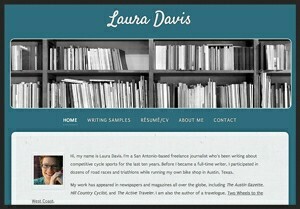 But we also give writers the option to create a custom theme, with their own header and color scheme. To that end, I wanted to offer some advice for writers who want to use a custom theme to help them make it look as good as possible. Of course, these rules not only apply to Writer’s Residence, but to anyone who’s got a website that they’ve designed themselves. This is the image that appears at the top of your page. In Writer’s Residence, you can use any size image you’d like (we resize it automatically to make it look good on the page) but a good rule of them is to use a header image that’s a long, wide rectangle. A header that’s too tall will push everything below it off the screen, but all that stuff below the header is important, and you want people to see it when they first access the page. If you’ve ever gone to a website that’s difficult to read because of the text and background colous, then you know how important colors are to a website. Why should anyone – particularly those all-important editors, clients and customers – stick around if they can’t read it? 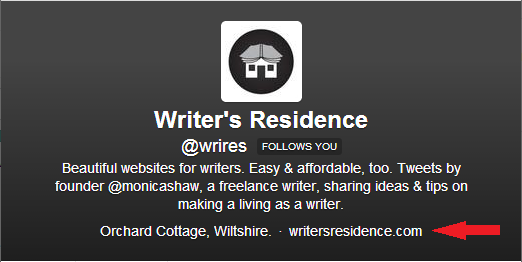 In Writer’s Residence, you can customize your theme’s header, text, link, background and text background colours. A good general rule is that dark text on a light background is best. But you can also do even better by picking a colors that work well together and which suit your style and personality. Kuler – a community driven web app that lets your browse color palettes created by others. You can also create your own by using the color wheel, harmony rules, and color sliders. 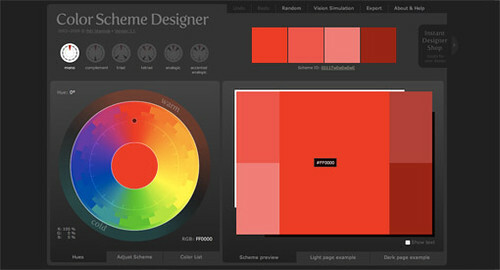 Color Scheme Designer – a nice, simple interface that helps you create beautiful color schemes in seconds. Pictaculous – upload an image and this app creates a color scheme based on that image. 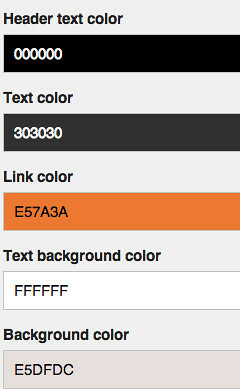 This could be particularly handy for those of you using custom header images. COLOURlovers – this one’s a bit of fun and another community driven site where people create and share colors, palettes and patterns. In the coming weeks we’ll put together some of our favourite website color schemes and palettes for you to use on your own website. In the meantime, has anyone else got some great tools or ideas to share for creating a rockin’ website theme? We’d love to hear about them in the comments! I just discovered, thanks to Melody Godfred’s delightful Write in Color blog, an equally delightful series in The Guardian called Rules for Writers. The series features famous authors like Jonathon Franzen, Margaret Atwood, and Zadie Smith, who offer their shirt, pithy tips on writing. Never use a verb other than “said” to carry dialogue. The line of dialogue belongs to the character; the verb is the writer sticking his nose in. But “said” is far less intrusive than “grumbled”, “gasped”, “cautioned”, “lied”. I once noticed Mary McCarthy ending a line of dialogue with “she asseverated” and had to stop reading and go to the dictionary. Do, occasionally, give in to temptation. Wash the kitchen floor, hang out the washing. It’s research. When I became a full-time freelance writer in 2008, I dreamed big dreams of lucrative commissions for national magazines, free meals at fancy restaurants, overnight stays at flash hotels and the thrilling rush of impossibly tight deadlines. There were already loads of people out there established as professional writers; how could I compete with them? Almost two years later, I’m still a full-time freelancer, still making ends meet, but still nagged by these same concerns from time to time. Which is why I really liked yesterday’s article on Freelance Folder by Laura Spencer about how to survive in the crowded freelance writing marketplace. There she listed some very good reasons why it’s still possible to compete and suggests a few ways to strengthen your freelance writing brand. Consider the more lucrative writing fields of copywriting or business writing. While it’s nice to have a byline, it’s even nicer to get paid. Businesses have the money to pay and the need for writers. It’s not exactly press passes and celebrity interviews, but business writing is a great way to stay afloat while you establish yourself in more journalistic roles. 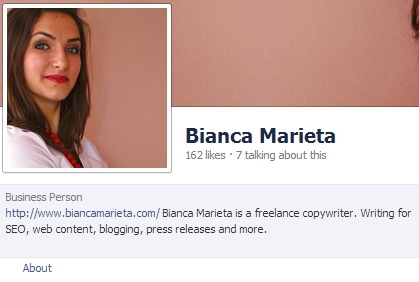 I currently work part-time writing marketing reports and copywriting. This takes up about 75% of my working week; the rest I spend on my own projects and writing endeavors. Sure, I might establish myself more quickly as a writer if I devoted myself to pitching full time; but I’ve gotta make a living, and the business writing makes it possible. It’s all about doing whatever it takes to enable the next step. Right now I’m about 75% business writing / 25% my own stuff. Next year that might be 65% / 45%, who knows. For me, one of the most important points is that I’ve stayed freelance this whole time. So even if I go into a business environment, I’m still calling the shots, still keeping my head high as an independent contractor. It may not sound like much, but the confidence boost of going freelance is huge, and it just keeps pushing you harder and harder to stay freelance, and to make the next job that much more awesome.